Visit one of the world’s most famous Catholic pilgrimage sites in Medjugorje in Bosnia and Herzegovina, a perfect choice for travelers interested in religious history. In 1991, six local children claimed to have seen visions of the Virgin Mary on what is now called Apparition Hill. 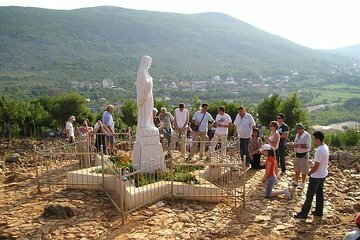 On this tour, you’ll travel directly to Medjugorje from the Markaska Riveria to visit Apparition Hill and enjoy free-time exploring the village shops and restaurants.